The chilling Winds of Winter are about to whip up a storm thanks to the seventh, penultimate season of HBO’s Game of Thrones. We’re now little over three weeks away from the show’s long-anticipated return – July 16th is the date for your diaries – and earlier today we got a look at a really rather stunning new trailer, along with a dozen character posters featuring many of the key power players populating Westeros and beyond. From Littlefinger (Aidan Gillen) to Cersei Lannister (Lena Headey) to Theon Greyjoy (Alfie Allen), those icy one-sheets were a pointed reminder of just how complex HBO’s fantasy saga has become, and it’s all set to come to a head over the course of 13 episodes and two truncated seasons. 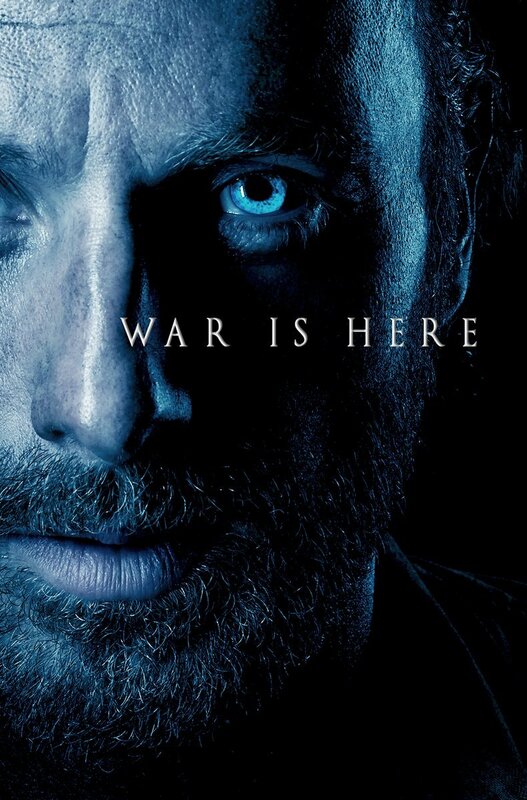 Elsewhere in the TV landscape, The Walking Dead is gearing up for a similarly epic eighth season, and to piggyback on the buzz and excitement generated by Game of Thrones, the former’s official Twitter account rolled out a mock-up poster (seen below) that places Rick Grimes (Andrew Lincoln) front and center. Winter may be here, but it seems war is just around the corner. In related news, it would seem that those fans of Rosita (Christian Serratos) will have to hold out a little longer before Queen Ro Ro crops up in The Walking Dead season 8. As reported by Cinema Blend, the actress recently celebrated the birth of a baby girl, and will no doubt take some time off from AMC’s zombie flagship for recovery and rest. That’s not to say that Rosita will be totally absent from the show’s oncoming eighth season; rather, it’s unlikely she’ll appear until episode four or five as the network often works to accommodate each actor’s varying schedule. There’s currently no firm date for The Walking Dead‘s return, but history tells us season 8 will likely shuffle toward the small screen in October. Game of Thrones, meanwhile, will air its seventh season on July 16th.